The feature rich STICK-DE3 has been designed to provide a control solution for the most demanding of projects and yet easy enough for anyone to use. 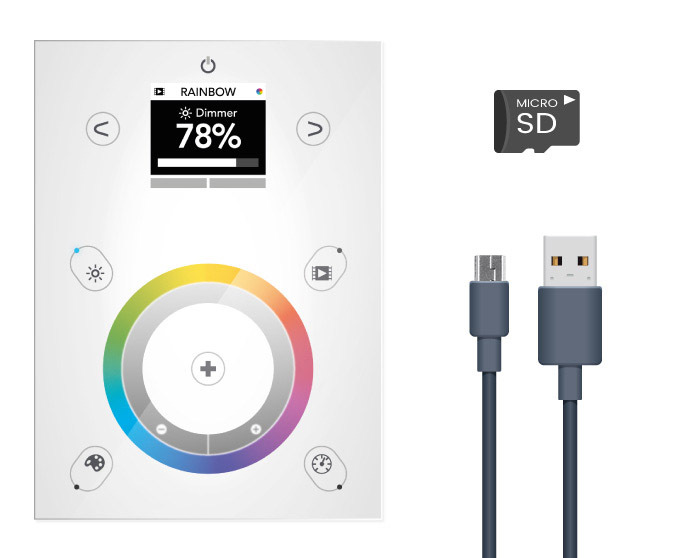 The controller integrates a graphical color display, allowing scene photos to be displayed. Easily view the selected zone, scene name and design without the need to navigate through complex menus. The STICK-DE3 has 4 different modes. 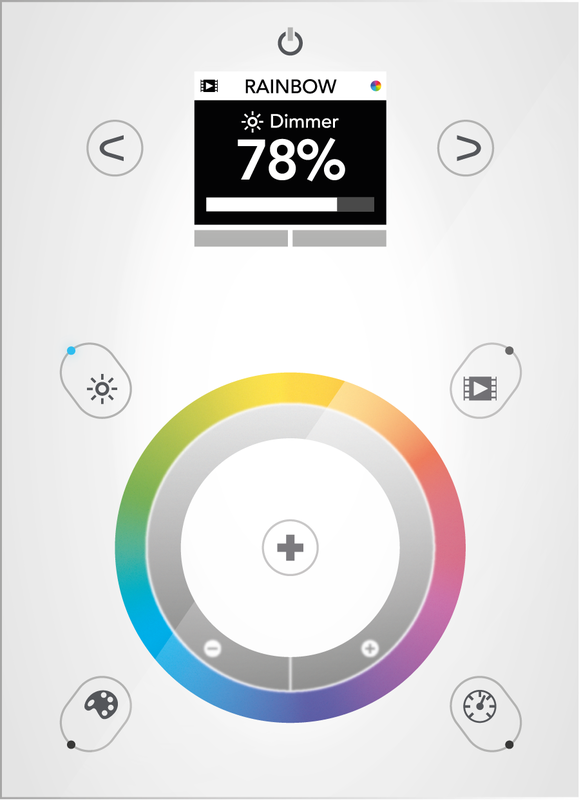 Scroll around the touch sensitive wheel to change the dimmer, color, speed or scene, or tap around the wheel for direct access to a value. The arrows can be used to step through values. 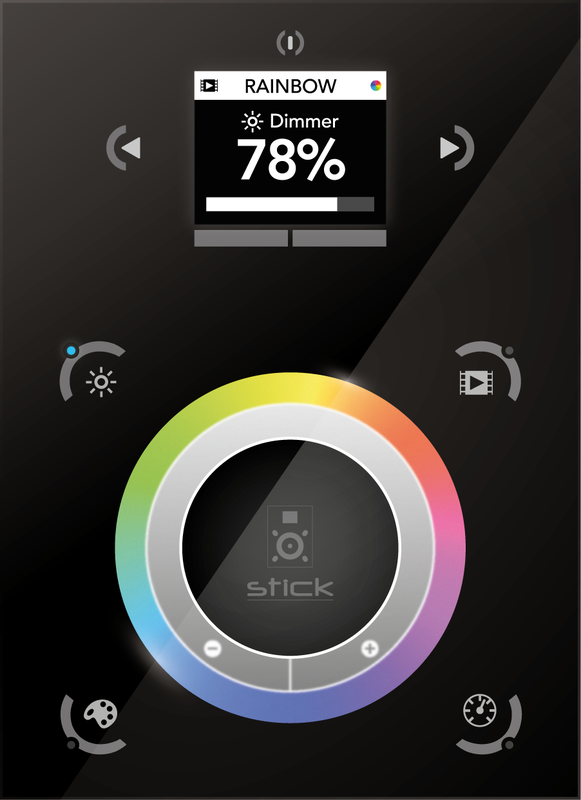 Several accessories and software/mobile apps are included in the STICK-DE3 package. Check out below.